Business event management comes with many challenges, but you can tick one away by planning your budget right. So how do you budget your finances? Let us walk you through the basic steps of staging a successful event without crossing your budget’s limits. 1. Define Your Goals. The initial step to a successful business event management is goal setting. It includes identification of priorities and allocation of proper budget to achieve the results that you have envisioned. Basically, it entails assigning a specific amount to your ‘essentials’ first, before using your fund for other purposes. 2. Come Up with Educated Estimates. This is especially applicable if you have already managed a similar event in the past. Based on your previous expenses or by referring to quotes from past suppliers, you can fill in the costs of specific services and products so you can start planning the budget of your business event. 3. Use Google Spreadsheets. Tracking your budget and taking note of your expenses is a lot easier with a constantly updated spreadsheet. When using event spreadsheets, you have to be clear with the details. Identify your expenses and include them in the worksheet, along with the expected amount and actual costs. TIP: Allot at least 10 minutes of your time each day to update your budget to stay on top of your plans. Real-time updates can prevent the occurrence of unnecessary problems. 4. Be Mindful of Your Deadlines. Pay on time. This is a smart thing to do to avoid extra charges that usually incur with late payments. As for the long-term benefits, becoming diligent with your payments will help you establish and maintain stronger relationships with your contacts and suppliers. 5. Collect and Select. Whether you have a big budget to spend or has to work on a very limited amount, finding vendors who can give you the best prices is a smart move. As a rule, look for at least 3 different vendors and get quotes for the supplies you’ll need. If you already have a regular supplier who gave you a higher quote, chances are they’ll match the other suppliers’ prices if you’ll inform them about your budget considerations. TIP: Don’t close the deal without negotiating. A skilled event planner knows that accepting the first price offered is not the smartest thing to do. You might not get the discount you want, but it can be in the form of a freebie or add-onl that can spare you from other expenses. 6. Choose Quality Over Cost. Remember that even if you aim to keep your spending low, it isn’t always a smart option to go with the cheapest supplier--especially if that will compromise your results. Quality should always be taken into consideration and spending extra should not be a problem if that would keep you from mediocrity. 7. Create a Contingency Budget. Business event management comes with the most unexpected surprises and when it happens, you’re better off with a contingency budget. This will serve as a breathing room that will allow you to absorb unplanned last-minute spendings that may be related to venue problems, malfunctions, or insufficiencies. 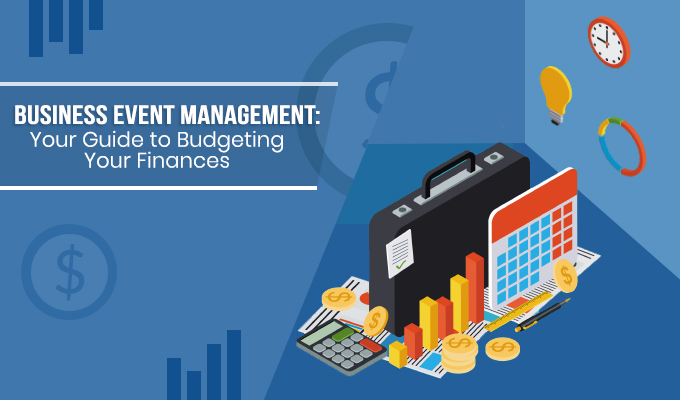 Budgeting your finances when managing an event may seem daunting, but with its impact on the success of your event, taking the basic steps can spare you from major mishaps. Need event management help? M2Live offers professional event management services to assist you every step of the way. Find more useful tips and resources by visiting our blog.